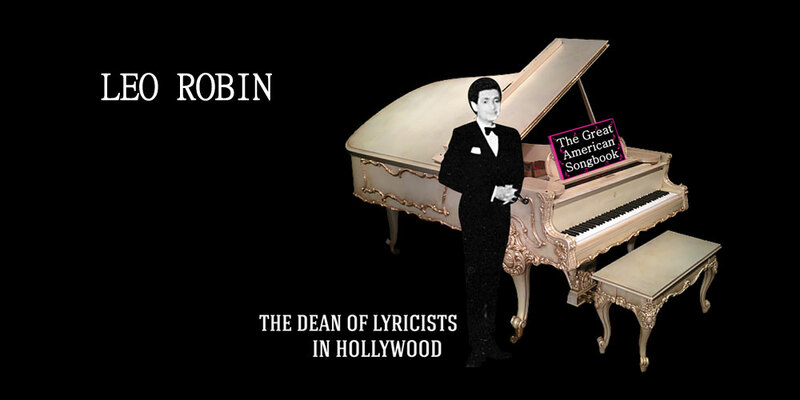 In the early years, Leo Robin wrote songs for The Greenwich Village Follies. These little revues were very important in showcasing new talent and giving artists their start. Leo and Richard Myers co-wrote “Whistle Away Your Blues,” which was used in the Follies of 1925. Then, Leo met the Gershwins and Leo’s attention turned to the Broadway stage and Leo worked on numerous Broadway shows between the years of 1926 and 1928. The spectacular score, with music by Vincent Youmans, from the 1927 smash hit, Hit the Deck, debuted the song, “Hallelujah!” that went on to become a popular standard. We have many gems from these Broadway shows when Leo started out for your pleasure. Leo and Richard Myers, who collaborated frequently together on Broadway shows, wrote the catchy tune "I'm a One-Man Girl" which debuted in the show Bubbling Over in 1926 and later used in the stage musical production of Mister Cinders. They wrote, with Philip Charig, the charmers "Pull Yourself Together" and "Where Have You Been (All My Life)?" that were introduced in the Broadway show Allez-Oop! at the Earl Carroll Theatre on August 2, 1927 and later recorded by Nat Shilkret and The Victor Orchestra. They wrote the gems "I Want the World to Know" and "Say That You Love Me" for the Broadway show Hello Yourself in 1928 and these songs were subsequently recorded by Waring's Pennsylvanians. 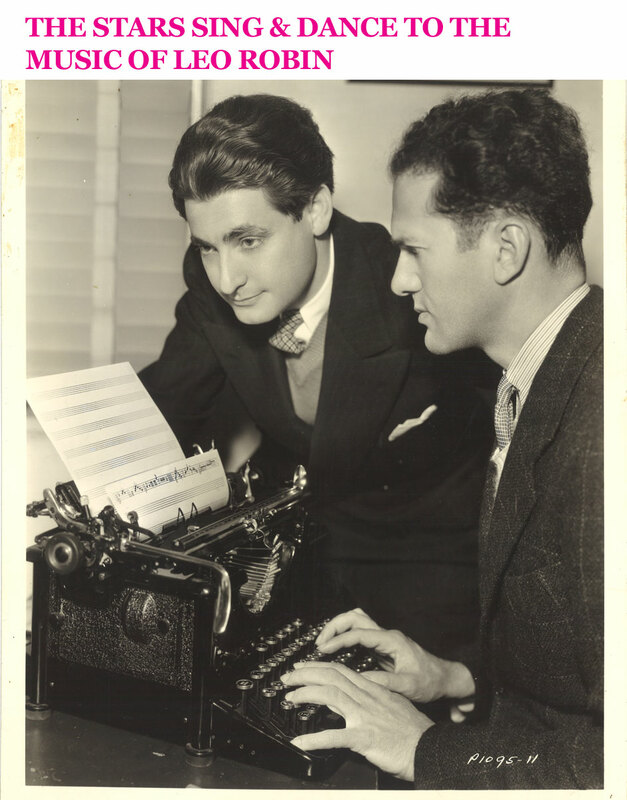 Leo Robin would meet composer Rallph Rainger and they wrote their first hit together "I'll Take an Option on You" for the 1933 musical revue Tattle Tales by Betty Doree at the Broadhurst Theatre on Broadway and the song became a hit recorded by many including Dorothy Lamour. For your enjoyment, here are the many magical musical moments of songs Leo Robin wrote during the early years for these Broadway shows, revues and more. David Rose And His Orchestra performing "Dreams Do Come True"
Nat Shilkret and The Victor Orchestra performing "Pull Yourself Together," originally introduced in the 1927 Broadway show Allez-Oop! Scene from the 1934 One Hour Late where Joe Morrison singing "I Can't Imagine Me Without You"
The Dish Ran Away with the Spoon, a very Disneyesque animated 1933 film, has kitchen tools frolicking & dancing to Leo Robin's theme song sung in the opening and later includes his ballad "I'll Take an Option on You"
Vic Damone singing "One Love"